Let’s take this show on the road to Louisville where The Print Refinery™ experts are waiting! 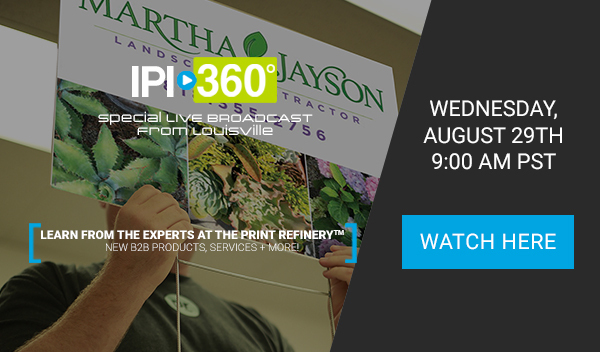 During this week’s special on the road IPI 360 LIVE BROADCAST we’ll be visiting The Print Refinery™ in Louisville where we’re going to learn from the experts. They’re going to show all their NEW products, services, and machinery that’ve been skyrocketing their B2B sales. From political signage to custom acrylic office decor their tips and tricks on how it’s made will blow your mind!